The newest generation Samsung smartphone works with the finest camera on a smartphone from the manufacturer to date with many smart and fun features that create its distinction over any other brands. 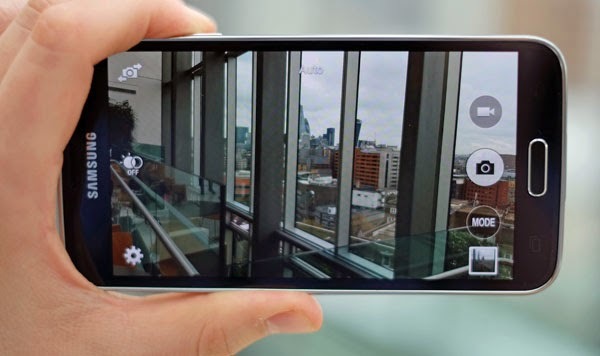 Among the advanced camera features embedded into the Galaxy S5 camera is the new Virtual Tour mode. This camera feature is typically used for creating walk-throughs or interactive virtual tours of your nearby surroundings. Such feature is particularly beneficial for marketing purposes. To use this feature, you will need to enable Virtual Tour mode on your phone camera app beforehand. 1. Open the Camera app on your device. 2. Touch the Mode button on the bottom-left screen. 3. Select Virtual tour mode or virtual shot thumbnail. 1. Place the target pointer in the center/middle of the circle. Doing so will calibrate the device. 2. You will be prompted with on-screen prompts to walk you through the entire process of using the feature. So all you have to do is to follow the given instructions on the screen for which direction to turn or to move straight ahead. 3. Hold the phone steady to ensure the target pointer is within the target circle each time you take a new photo. Every time the target circle appears, it indicates that another photo is captured and stitched into the tour. 4. If you're done with your tour shot, touch the Stop button to end shot. You just have created your very own 3D tour shot with virtual tour on your Samsung Galaxy S5. The Galaxy S5 sports a 16-megapixel back camera and a 2-megapixel front camera. There are six types of pre-loaded camera-image modes supported by the Samsung Galaxy S5 smartphone. These would include Auto, Beauty Face, Shot & More, Panorama, Dual camera and Virtual tour shot mode. Once the camera is set to Virtual tour mode, guided arrows will display on your screen. Just move and point your phone camera according to the guided arrows in forward, right or left directions and take your shots. The final output you get would be a GIF-like virtual tour image.